According to figures stated by government officials, out of Rs 14,000 crore, only Rs 4,000 crore, or less than 30 per cent, has been refunded so far. So, what is causing the delay in refunds? The delay in exporters' refund under the Goods and Services tax (GST) is becoming a serious problem with around Rs 10,000 crore stuck with the government, making many exporters, especially the smaller ones, struggle for working capital. According to figures stated by government officials, out of Rs 14,000 crore, only Rs 4,000 crore, or less than 30 per cent, has been refunded so far. So, what is causing the delay in refunds? There are problems both at the GST authority's level and at the level of taxpayers. 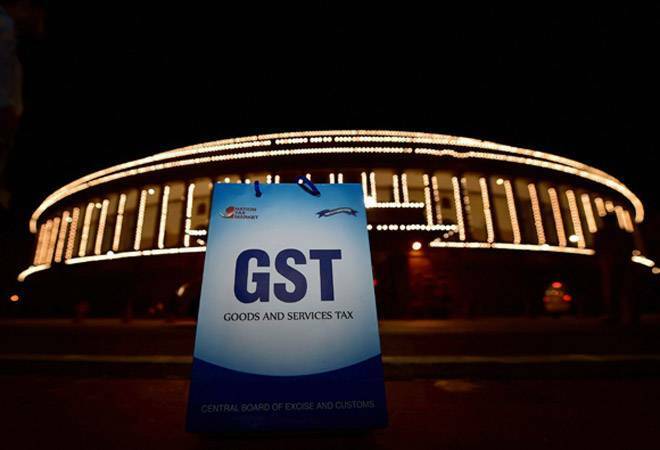 A part of the delay is caused by slow roll-out of the GST returns process. Duty on exports is collected automatically by customs agents at the border; exporters must claim refund of the excess GST paid. "The earlier system, where you file returns and refunds would come automatically, is not working so far," says Anita Rastogi, Partner, GST and Indirect Taxes, PricewaterhouseCoopers India. "A part of the slow deployment of the overall GST returns process has been due to non-availability of refund module (RFD-01) on the GST common portal, making the standard process for refund claims not possible," William Rau , Senior Director - Engineering, Avalara, a technology company that focuses on GST compliance automation. However, the biggest cause of the delay, experts say, is the error in filings. "The refunds are being stopped for even a mistake in putting a full stop. If there is mistake even due to rounding off of figures, the system would not allow refunds," says Rajat Mohan, Partner, AMRG and Associates Chartered Accountants. According to the GST rules, a shipping bill filed by an exporter should be deemed to be an application for refund once both GSTR-1 and GSTR-3B are filed correctly. The reconciling of shipping bills with that of GSTR 1 and GSTR 3B is must for getting refunds. But filers are making a lot of mistake at this stage. Acknowledging the gravity of the situation, the Central Board Excise and Customs (CBEC), the department that administers the indirect tax rules including customs duties, has come out with an "alternative mechanism to give exporters an opportunity to rectify such errors committed in the initial stages". In a circular issued by the Central Board of Excise and Customs, the department envisages "an officer interface on the Customs' Electronic Data Interchange (EDI) System through which a customs officer can verify the information furnished in the GSTN and Customs EDI system, and sanction refund in those cases where invoice details provided in GSTR 1 are correct through the details provided in the shipping bill were at variance." The circular, issued in the February last week, is yet to be implemented. Some tax experts are saying the system has been tested in some locations. It is to be seen if there would be any improvement in the situation after the CBEC circular. Some experts are saying the government is only talking about the delay in refunds (to the tune of Rs 10,000 crore) in the cases where taxes have been paid, but no one is talking about the delay in getting input credits to exporters where taxes have not been paid. This amount is said to be another Rs 10,000 crore, which also remains unpaid. Under the GST, exports are zero-rated, which means even though no GST would be levied on the goods and services meant for exports, the exporter could claim credit for taxes paid on inputs. Exporters can choose either to export under bond/ Letter of Undertaking without the payment of tax and claim the refund of Input Tax Credit, or Pay IGST after setting-off ITC and claim the refund of the tax paid.